Those who are already part of the online gambling world will already be aware of the meteoric rise of mobile casino gaming in recent years, a development about which everyone has an opinion. As mobile web usage has now overtaken desktop web usage for the first time, it can be easy to see why people enjoy mobile gaming – with a huge range of optimised games and the opportunity to play wherever you go, they’re undoubtedly convenient. However, there are still some that prefer the traditional desktop casinos that they are used to, and there are some good reasons for that. This short guide will explain the differences between mobile and desktop UK online casinos, and if you want to get into mobile gambling entertainment for yourself, how to choose the best mobile casino to suit your needs. What’s good about mobile casinos? The main advantage of mobile casinos is the convenience: you can take your game with you anywhere you go, and you can play in public with a degree of privacy that desktop gaming simply doesn’t offer you. You can sneak in a game on the train, or when you’re out with friends, and unless they’re looking over your shoulder, nobody will know what you’re doing. It’s also worth considering that mobile casinos generally offer fewer distractions, as what you see is optimised for the lack of screen space that mobiles offer. Options, adverts, and links may not be as instantly obvious on the mobile version, which some people love as it allows them to focus on the game rather than getting distracted with everything else the site has to offer. Speaking of optimisation, you might want to think about the games themselves. Desktop casinos might currently have more games to choose from, but mobile casinos allow for a type of interactivity that desktops just can’t offer – for example, you will be able to use your fingers to control everything that goes on, from moving cards to spinning a roulette wheel, and it’s completely up to you if you prefer this interactive gameplay or the older, more traditional kind. The final thing to think about is the kind of bonuses that each platform offers. There are different bonuses and offers even on the desktop and mobile version of the same casino, so look carefully at what is offered and whether it appeals to you. What advantages does desktop gaming offer? While there are a lot of great things about mobile casinos, there are still several advantages to the desktop version. For the keen gamer, one of the most important advantages is stability and performance. While of course, some desktop computers are more powerful than others, desktop games will play pretty much the same way on all of them. Mobile apps are much more susceptible to bugs and crashes, and if you have an older phone you may struggle to play some of the most modern games. You will also find that the number of mobile casinos depends on what kind of phone you have – for example, if you own a Windows phone, there may not be many mobile gaming choices for you. However, desktop gaming is perfect for the player who wants more options in their gameplay – a wider range of available games ensure that you’ll never get bored, and the larger variety of deposit and withdrawal options offer a greater level of convenience. It’s also worth noting that the deposit and withdrawal limits are likely to be higher on the desktop version, so if you’re working with large amounts of money, the desktop is always your best bet. How can I choose the best mobile casino for my needs? This is a very personal decision, and it depends entirely on what you want from an online casino experience. Take some time to research the mobile casinos that are available for your phone, and what games and bonuses they have to offer. Are they what you’re looking for? Do they suit your needs and interests? There’s no point choosing a mobile casino that doesn’t offer your favourite game, or one that offers bonuses based on interacting with their Facebook page if you don’t have a Facebook account! There are so many mobile casinos out there that you’re sure to find one to suit your needs. In short, there are benefits to both mobile and desktop casinos, and it depends on your interests and play style, as well as what kind of phone you own. 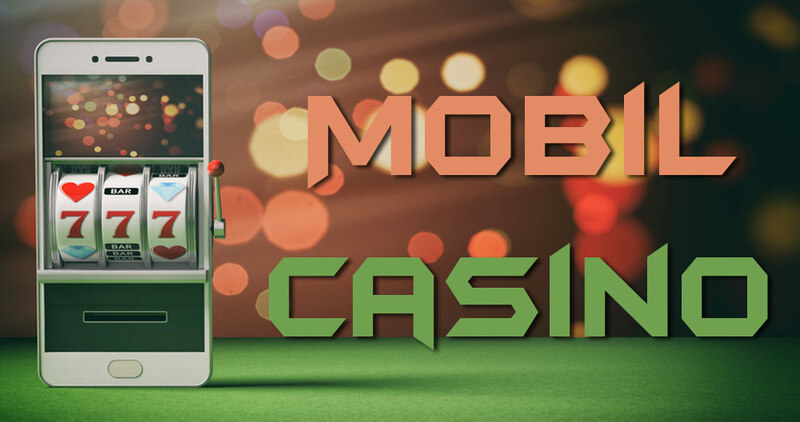 If you own a relatively new phone and are interested in discovering something new, then perhaps trying a mobile casino is something that would appeal to you. If you like the range of choices and options that desktop casinos offer, then stick with what you know – it’s up to you.